An upcoming vegetarian cookbook includes ingenious formulas to help you create your own, customized dishes. Get the 1 recipe that can be used to make thousands of different soups. 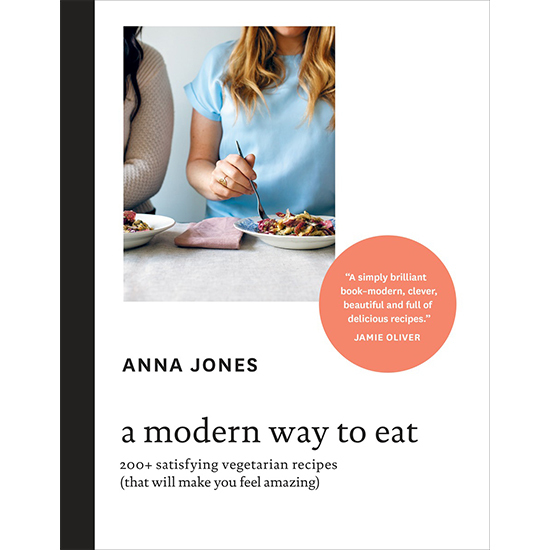 Anna Jones is a British writer and food stylist who has worked with Jamie Oliver and Yotam Ottolenghi. Her first book, A Modern Way to Eat, a gorgeous ode to vegetarian home cooking, will be released in the United States this spring. The book is filled with dishes you want to make immediately, like a savory pistachio-butternut squash galette or cardamom-lemon cake. But some of the smartest recipes in the book aren't really recipes at all: They're rubrics that you can follow to make your own version of a dish, in almost infinite varieties. "If you're anything like me, then sometimes you like the confines of a recipe and sometimes you like to freestyle," writes Jones. "This is a guide for those freer days." Chop up all 3 and sweat in a saucepan over medium heat with a little olive oil until soft and sweet. Add 1 herb and sizzle for a couple of minutes to release its flavor. Add 1 tablespoon of 1 spice (or the quantity suggested) and sizzle for a minute or two. Add 1 handful per person (per serving) of your main vegetable (peeled and chopped, if needed) and enough hot stock to cover. Simmer for 40 minutes. Add a couple of handfuls of 1 of the above vegetables (chopped, if needed) and simmer for 5 more minutes. This is optional. If using, add a couple of handfuls of 1 of the options above just before serving. Warm through, and puree in a blender if you like. Top with 1 or 2 of these options and a drizzle of olive oil.